Thailand is a fast emerging country that aspires to become a high-income economy by 2037. Still, Thailand’s growth path has created large disparities that risk obstructing the next stage of development. 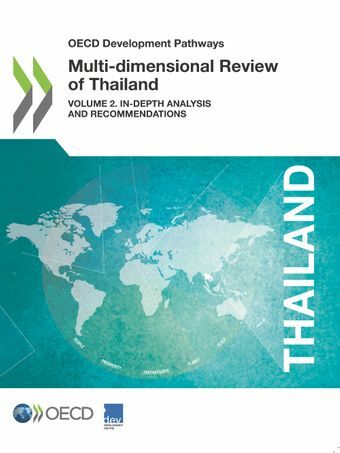 This report lays out three transitions that Thailand needs to master to build capabilities and sustain faster but also more inclusive economic growth. First, the country should move from a growth path dominated by few and geographically concentrated sources of innovation to one that focuses on unlocking the full potential of all regions. Second, to support a new growth agenda, it should organise multi-level governance and the relationship between the many layers of government more effectively, particularly with regards to financial resources. Last but not least, Thailand should focus on water and environment, moving from a resource-intensive growth path with costly natural disasters to one characterised by sustainable development. In the case of water, this means moving from ad-hoc responses to effective management of water security.